Sunday was Father’s Day, and as with any other small or big event, I saw it as the perfect opportunity to try out a new recipe. 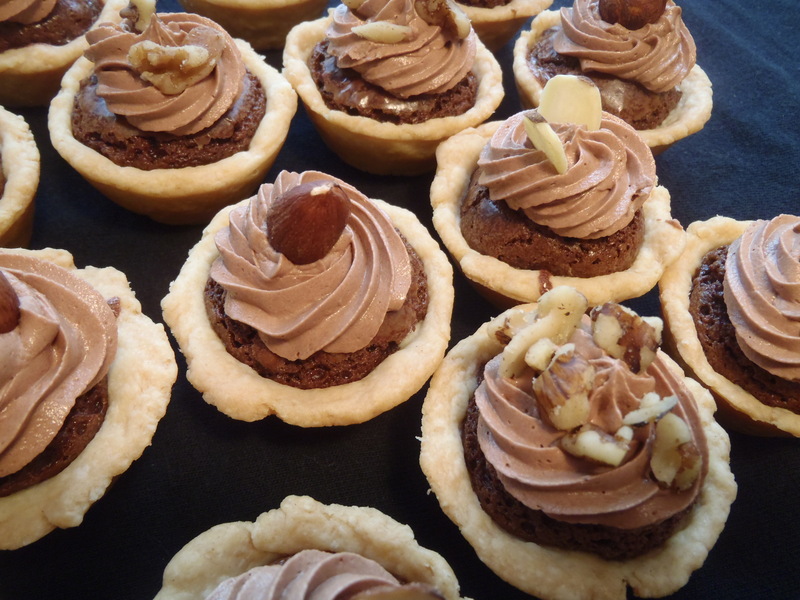 This week’s challenge: Fudge Brownie Tartlets. Now, I’m not sure why it’s called a tartlet, because there is nothing tart about it, but I try not to ask too many questions. I guess it is because it is in a little pie crust type pastry just like your typical fruit tartlet. But again, nothing tart about it. There is definitely room for improvement on the name. As for the fudge part? Right on. This recipe was just the right amount of sweetness and rich chocolatey-ness, paired with a refreshingly light and flaky crust.